Is It A Good Idea To Have Your Child Testify In Family Court? There is no avoiding the fact that divorce is hard, and those involved will often attempt to diminish or shield themselves from the pain of this new reality while the process is ongoing. Children, in particular, need protection against the negative aspects of divorce to avoid long-term detrimental effects. One of the harder parts of divorce is the legal process itself, which requires both parties to divulge personal information, and in some instances, resolve disputes in open court. While it is impossible to completely shelter a child from the harmful side of divorce, it is possible and encouraged to keep the child out of the legal portion of the process. Children generally, and especially those who are young, love both parents, and will have a hard time participating in a procedure that sees them pitted against one another. However, parents may wonder if the involvement of their child in the divorce case is necessary. 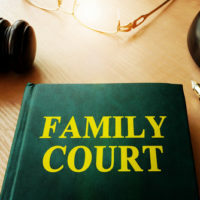 Courts can allow the involvement of child in family law cases, though there are no hard and fast rules, leaving judges to make decisions on a case-by-case basis. A discussion on how courts generally view child participation in proceedings, and circumstances which could prompt a court to approve a child’s appearance, will follow below. Typically, child testimony is taken in the judge’s chambers outside the presence of both parents, called an in camera examination, with the court reporter as the only third-party present. While there is a general reluctance to involve children in family court proceedings, courts will agree to child participation under the right circumstances. Older teenagers are more likely to be given permission to testify since they are more capable of understanding the proceedings, and less susceptible to coercion from a parent seeking their support. Additionally, in cases involving domestic violence experienced or witnessed by the child, the court could be more open to allowing child testimony, especially if it pertains to an order for protection. Generally, though, it is best for look for other alternatives to get information needed, such as a guardian ad litem. Making the decision to divorce is hard enough, and adding the burden of trying to figure out the legal process is more than most people can handle. Instead, hire an experienced divorce attorney to handle the legal strategy and procedure so you can focus on reordering your life. Joyce A. Julian, P.A. 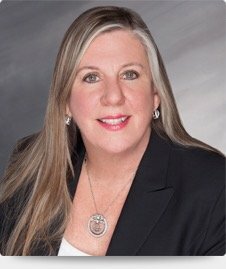 represents clients in the Fort Lauderdale area in all aspects of divorce and family law, and will do everything possible to get the result you want. Contact the office today for a free consultation.